Everton Identify Marcelo Bielsa As A Replacement For Marco Silva: Should Leeds United Fans Be Worried? According to the latest reports from the Mirror, Everton have identified Leeds United’s manager Marcelo Bielsa as a possible replacement for Marco Silva if the Portuguese gets sacked from the managerial job at Goodison Park. The Toffees are going through a bad run of form as they have lost five of their last six games so the pressure is mounting on Silva. It is no surprise to us that Bielsa has been linked with a Premier League job given the kind of work that he has done with Leeds United this season. The Whites are still in a strong position to move to the Premier League via the automatic promotion spots which prove that the Argentine manager has done a remarkable job with a side that finished 13th last season. Bielsa has been embroiled in controversy recently as he admitted to spying on his opponents. However, Everton doesn’t seem to be bothered by those reports as they have kept the former Atheltic Bilbao manager on top of their wish-list if they end up parting ways with Marco Silva. The Argentine manager has completely transformed the West Yorkshire outfit as his men are currently playing one of the most eye-catching brands of football in the Championship. Some major injuries have hit the team recently, and the manager hasn’t been afraid to use young his academy players to fill in the gap. The likes of Jamie Shackleton, Aapo Halme, Jack Clarke, Tyler Roberts have all thrived under his guidance so the credit should go to the manager as he didn’t ask for any panic buys even when his side were plagued with so many injuries. We don’t think that Bielsa would jump ship in between the season even if Everton try to go all out to bring him to Merseyside. After all, here is a man who has watched all of Leeds United’s games from the previous season before taking the top job at Elland Road. Hence, we are quite confident that without proper preparation, Bielsa wouldn’t even think about going ito a new club. Moreover, there is a good possibility that Bielsa could end up managing in the Premier League next season given the position which Leeds United find themselves in at the moment. Not too long ago, Everton’s owner Farhad Moshiri had backed Marco Silva publicly so we don’t see the club giving up on him just yet. Everton Sign This Versatile Southampton Star: Another Masterstroke By Koeman? Everton Players Rated In Hard Fought Win Vs Stoke City: 9/10 For Cenk Tosun! 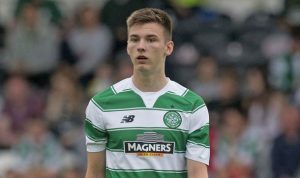 Everton Now Linked With Sensational Celtic Defensive Star: Rodgers Should Not Sanction The Move! Liverpool Receive A Surprise Backing From Arch-Rival’s Manager! Everton Interested In Signing 20 Y/O World Cup Winner: Do They Really Need Him?